Students hunt for objects with close-up images for clues. Give each student a sheet of close-up images of things to hunt for, and a pencil. Send them off to find what the images are part of. 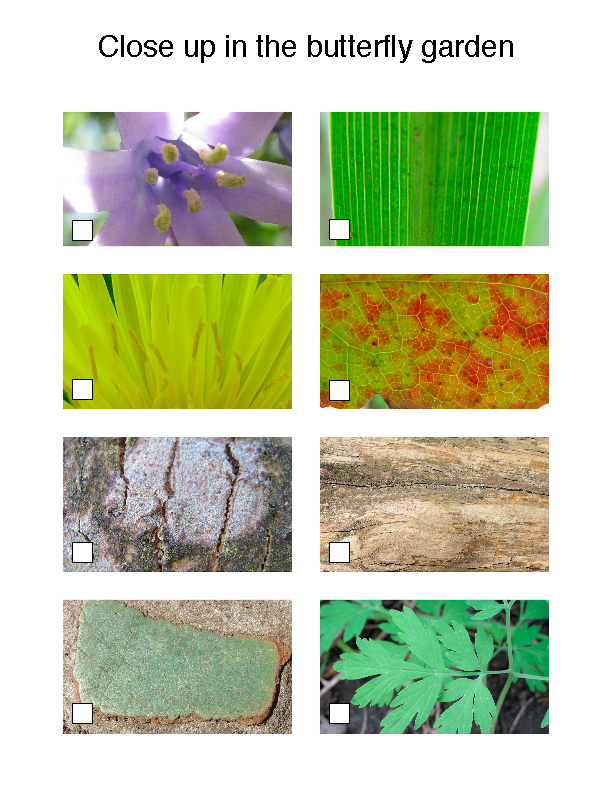 The images on my game were (row by row, left to right) bluebell flower, wide grass blade, dandelion, leaf, lichen on bark, tree trunk, small paving tile, leaf.